Back by popular demand! This is my third post showcasing a table setting created with ONLY items purchased from my local Dollar Tree store. 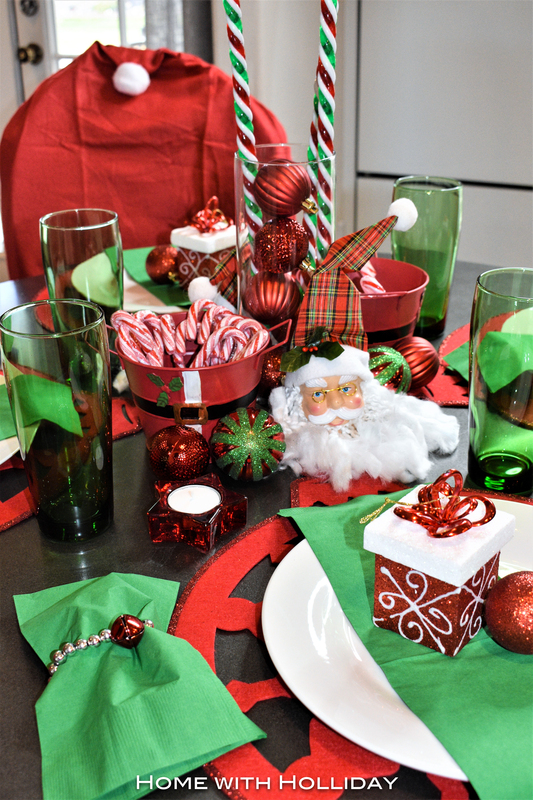 For this Dollar Tree Kid’s Christmas Table Setting, it cost less than $38 and was so easy to do!! Let’s face it…Christmas is expensive! Decorating a “Kid’s Table” (or even an “Adult Table”) doesn’t have to be. 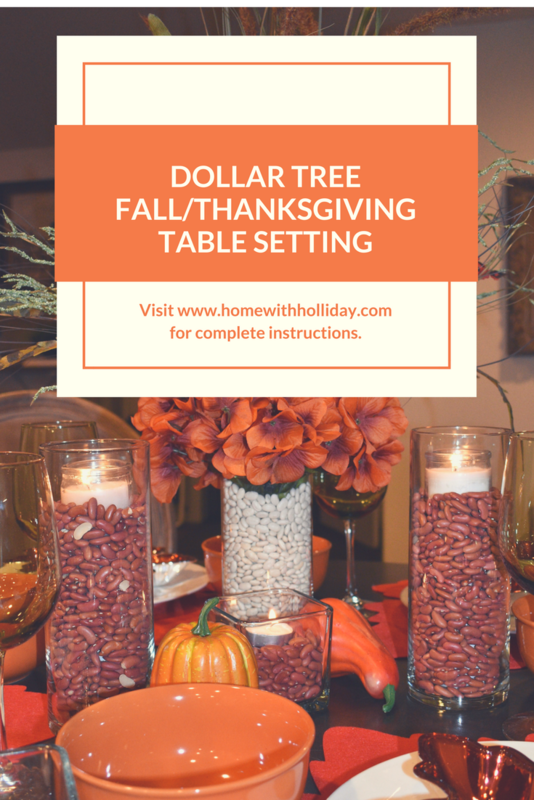 As demonstrated in my recent blog post Dollar Tree Fall/Thanksgiving Table Setting, beautiful, creative table settings do not have to be expensive! Based on the feedback and positive comments from my last Dollar Tree post, I decided to create another table setting with ONLY items purchased from my local Dollar Tree Store. Surprisingly, this particular table setting cost less than $40!! Personally, I am not much into Halloween, but with kiddos around, they are always asking for “real” decorations, not just pumpkins and flowers. Imagine that…oh, the perils of kids with a mom who is a designer. 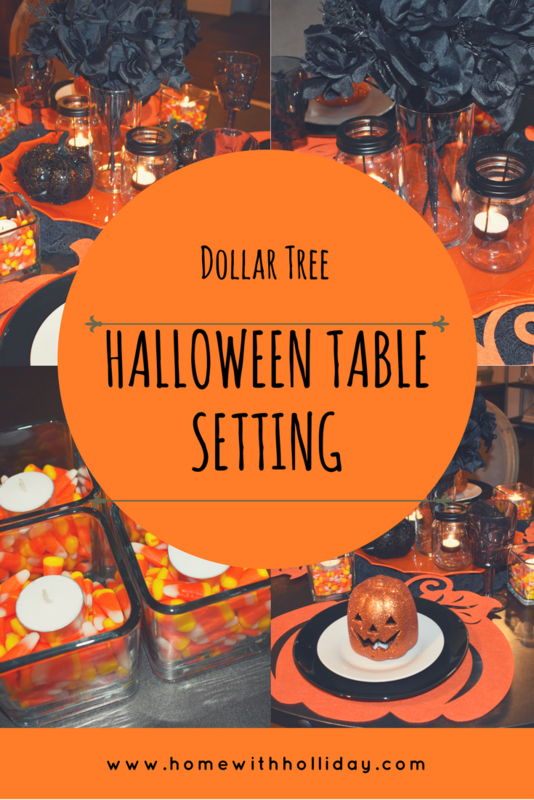 So, I decided to oblige and create a Dollar Tree Halloween Table Setting. Benjamin Franklin famously said, “A penny saved is a penny earned”. I say save those pennies!! Beautiful table settings do not have to be expensive! To prove that, I created this fall table setting with ONLY items purchased from my local Dollar Tree store, costing less than $50 for all of it!! My kids have always loved going to dollar stores when they were little. Actually, my teenage daughter still loves going and I have always been fascinated by what you can buy at a dollar store! So, she was part of the inspiration of this Dollar Tree Fall/Thanksgiving Table Setting.